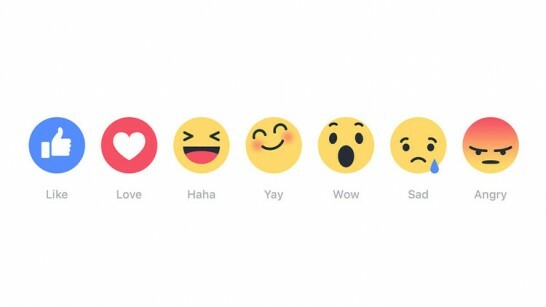 Things have changed today, in the way that we can show Facebook empathy, as additions to the infamous ‘like’ button now include ‘love’, ‘haha’, ‘wow’, ‘sad’, and ‘angry’. Undoubtedly, these new sentiment levels will bring a new level of clarity to content marketing on Facebook; the previous ‘likes’ could so easily be misconstrued. Or could we say that simplicity was once the key and now it’s gone too far? Mark Zuckerberg announced `Reactions’ today as a solution for friends who want to ‘dislike’ something in a sensitive, explanatory way. We will now see that popular ‘sad’ Facebook posts will achieve lots of unhappy faces. We can unite in our emotions with a little more gusto. We might also wonder why somebody chose to ‘like’ not ‘love’ our post. Was it just not loveable enough? It will be interesting to see from a marketing perspective, how Reactions will be used to target paid promotions e.g., target all those who ‘love’ posts from Titan21 (you know you do! ).